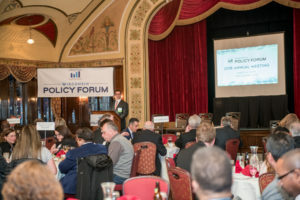 Nearly 120 people attended our first Viewpoint Luncheon in Madison, A Fresh Start: When Do Employers Have a Right to Know? which explored the state’s current expungement framework and the pros and cons of potential policy reforms. Check out our event recap that includes WisconsinEye’s video of the entire event as well as photos and media coverage. Many thanks to our very generous sponsors–American Transmission Co, US Bank, vonBriesen & Roper, and CommonBond Communities–for helping to make this event a success! 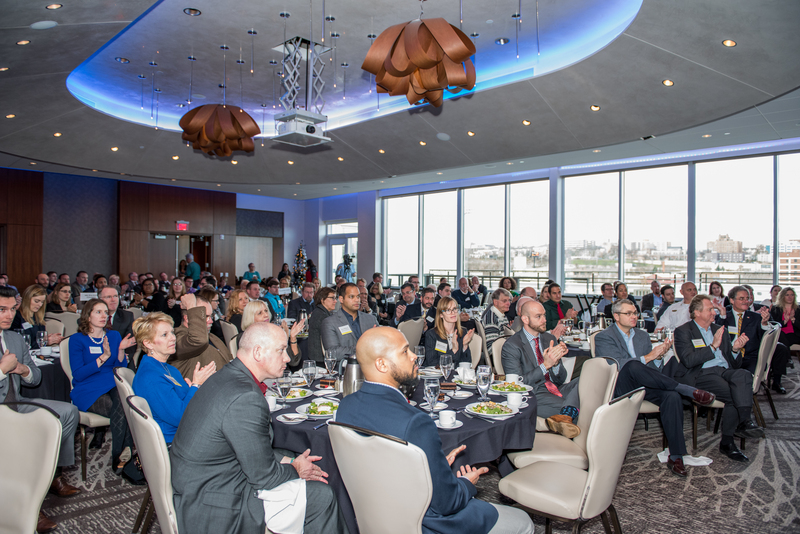 We look forward to hosting more events in Madison in 2019! 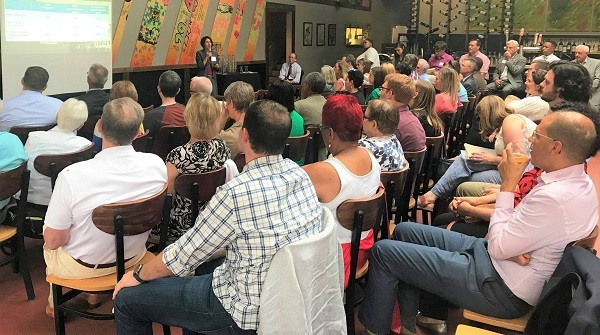 Our Policy in a Pub event on August 13 at Merriment Social attracted more than 100 attendees. We previewed our new research on charter school funding in the city of Milwaukee – A Teachable Moment – which details the city’s charter school financial landscape. Check out photos from our event here. 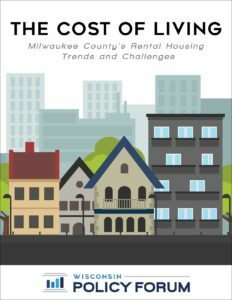 The Cost of Living, our report on Milwaukee County’s rental housing trends and challenges, was the focus of a recent article in the national Nonprofit Quarterly. The author underscored our finding that low incomes – as opposed to high rents – are the more prevalent root problem behind the county’s persistent rental housing affordability gaps. 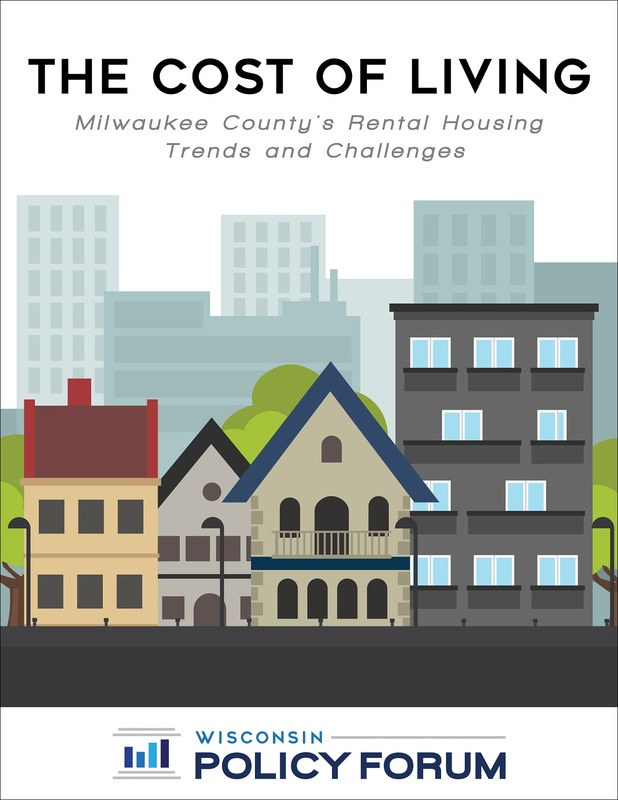 Our research found that roughly half of renter households in Milwaukee County are considered “rent burdened,” meaning they spend over 30% of their income on rent. It’s local government budget season! Forum researchers are in the midst of their busiest time of year, as we analyze hundreds of pages of City of Milwaukee and Milwaukee County budget documents to produce budget briefs for each government. These briefs are designed to provide impartial analysis and insights on key fiscal challenges in an understandable way – both will be available by mid-October. For a preview of issues we’ll likely cover, check out our recent report on county-owned parks and cultural assets and our award-winning 2017 report on the city’s revenue structure. Also, stay tuned for even more comprehensive analysis of the State of Wisconsin budget soon after its introduction early next year. We are pleased to introduce our two new graduate fellows, Rachel Ramthun and Gina Vlach! Both Rachel and Gina will be with us for the 2018-2019 academic year and will work on parallel research on the use of tax incremental financing (TIF) in Wisconsin. Gina Vlach is our eleventh annual Norman N. Gill fellow and will be based in our Milwaukee office. She is currently pursuing joint master’s degrees in Urban Planning and Public Administration at UW-Milwaukee. Rachel Ramthun is our first ever Todd A. Berry fellow and will be based in our Madison office. She is currently pursuing joint master’s degrees in Urban and Regional Planning and Public Affairs at UW-Madison. Eviction Prevention: We’re facilitating the work of a local stakeholders group (formed by the City of Milwaukee) in developing a strategic plan designed to build capacity for eviction prevention in the city. The Forum has held several planning sessions and is drafting a final report that reflects the group’s plan and recommendations. Property Values: We will publish soon our latest annual report analyzing trends in property values and taxes and how they affect taxpayers and local government capacity to fund services. As in the past, we will examine southeastern Wisconsin but this year we will also provide data on statewide patterns through an interactive online tool. Kenosha Fire and Rescue: We’re examining how fire and EMS services might be shared or consolidated in Kenosha County by the Village of Bristol, Town of Paris, and Village and Town of Somers. Our analysis considers ways in which the municipalities might collaborate to save money and improve services. Schooling Book: As we do each year, Forum researchers are working on a comprehensive report on school districts and trends in education and will be presenting the findings through an interactive format. 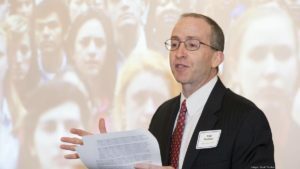 The study will include districts in southeastern Wisconsin and the rest of the state, looking at student enrollment, demographics, and outcomes as well as district finances and taxes. Can the Private Sector Help Address Greater Milwaukee’s Infrastructure Woes? December 10, 2018 | 11:45a.m. – 12:00 p.m.
Thursday, January 24, 2019 | 5:00 – 7:00 p.m.
Save the date! Details and registration will be announced later this year. We’d excited to introduce our newest team members. Welcome to the Forum! Ashley Fisher is the Forum’s new fiscal researcher in our Milwaukee office. Ashley previously worked as a budget analyst for the Washington State Employment Security Department. Prior to that, she conducted research for the Office of Program Research, a nonpartisan body serving the Washington State House of Representatives. She has a master’s degree in public administration from the Evergreen State College, and a bachelor’s degree in politics from Whitman College. Barb Pariseau is our part-time administrative assistant at the Forum’s Milwaukee office. She joined the Forum after a lengthy career as a senior executive assistant in Milwaukee County’s Department of Administrative Services, a cabinet-level department which oversees several major divisions within county government. 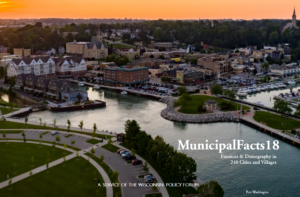 MunicipalFacts is a publication that formerly was produced by WISTAX and now is a part of the Wisconsin Policy Forum research portfolio. MunicipalFacts is the state’s only comprehensive factbook for Wisconsin’s 248 largest cities and villages. It contains information on municipal spending (by category), debt, property taxes, and shared revenues, among others, for cities and villages with more than 2,000 residents. It is with great sadness that we share the news that Forum board member Barry McNulty passed away on September 19, at the age of 53. Barry served on the Forum’s executive committee and was We Energies’ representative on our board. We are grateful for his leadership and support of the Forum. He will be greatly missed.